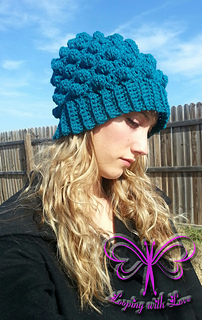 in 3 sc = 1"; 3 pattern rows (SC, BOBBLE, SC)= 1.5"
This pattern was inspired by Tanya Naser’s Child/Teen Bobble Beanie size. 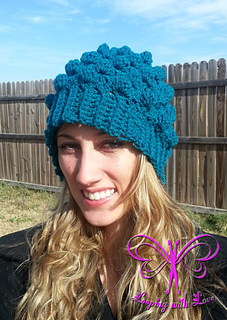 Myself, along with other designers, worked on different sizes for the same pattern design. 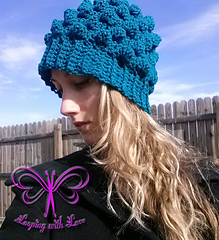 This herringbone bobble works up very nicely, and fuller than a regular bobble. 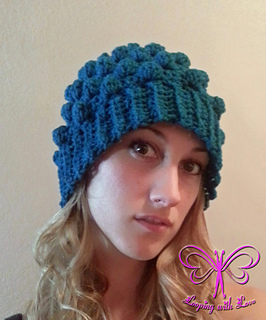 If you’ve never done bobbles before, then don’t worry - instructions are included in the pattern! 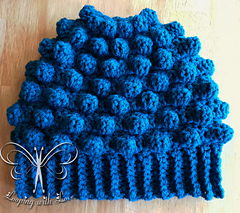 If you’d like to complete this pattern in other sizes as well, then the last page of this pattern has links to the other designer’s patterns for sizes infant-teen. Enjoy!